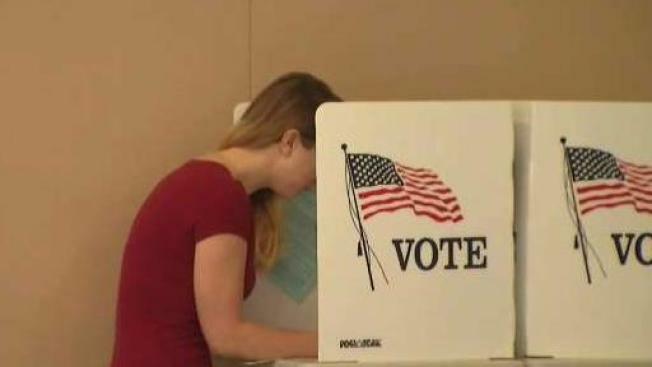 Santa Clara will be divided into six separate voting districts for city council elections following a May ruling that at-large voting has prevented Asian-Americans from being elected since the city's inception, Santa Clara County Superior Court decided Monday morning. The current system allows Santa Clara residents to vote for all six council members, in addition to the mayor, regardless of where they live. During this November's election, residents will instead vote on only one city council member based on their address. All residents will still cast their vote for the mayor. Civil rights attorney Robert Rubin, who represented the plaintiffs in the case, said he was pleased the court issued the order, but it's disappointing the city has taken so long to change. "Power is not ceded easily," Rubin said, describing the at-large voting system as one that gives power to the majority. With voting divided into six districts, minority groups will instead comprise the majority in certain districts. According to the U.S. Census Bureau, 44.1 percent of Santa Clara's population is white, 40.4 percent of the population is Asian and 17.5 percent are Hispanic or Latino. Though the general population of Asian and white residents is almost equal, Richard Konda of the Asian Law Alliance said white people comprise a larger portion of the voting bloc. Judge Thomas Kuhnle ruled in May that at-large voting violated the state Voting Right's Act, taking into account historical discrimination of Asian populations and saying they experienced setbacks in education, employment and health that kept them from participating in the political process. Though at least one Asian has run in the last 10 elections, Kuhnle said it was indisputable that none had ever been elected to the City Council. "It's a vicious cycle," Rubin said. "You have this system that denies minorities the ability to elect candidates of their choice; people become discouraged and that affects voter turnout." Konda said the districting is a victory for minorities, but also a victory for democracy, allowing small neighborhoods to elect representatives that zero in on specific, local issues. In the city's draft voting district map, District One has 51 percent Asians and District Two has 27 percent Latinos. A third district represents a combined percentage of over 50 percent Latinos and Asians, according to Konda, who hopes the two demographics can work together to elect council members who speak up for minorities. During a testimony, city consultant Jeanne Gobalet said the districts reflected common dividing boundaries such as railroad tracks, creeks and freeways in addition to neighborhood data from the website Nextdoor and community input. Santa Clara voters currently elect two council members and a mayor every four years, and four additional council members two years afterward. Because of this, every district will not vote for their council member this year. Kuhnle's decision does not specify the sequence of elections for the new voting districts, according to the city. "The city will continue to comply with the judge's order so far as it is able to, given that it is only partial direction," Santa Clara Mayor Lisa M. Gillmor said in a statement. "The city will further analyze this confusing situation as it determines how to proceed." Rubin said other governing bodies have noticed dramatic results after switching away from at-large election systems, but it's tough to say whether minority candidates in Santa Clara will immediately get a seat at the table. He added that residents will need outreach from the city to understand their new voting capabilities. "You don't lock out a population from political power and then all of a sudden make believe that they can run a competitive race," Rubin said. "It's a move in the right direction."